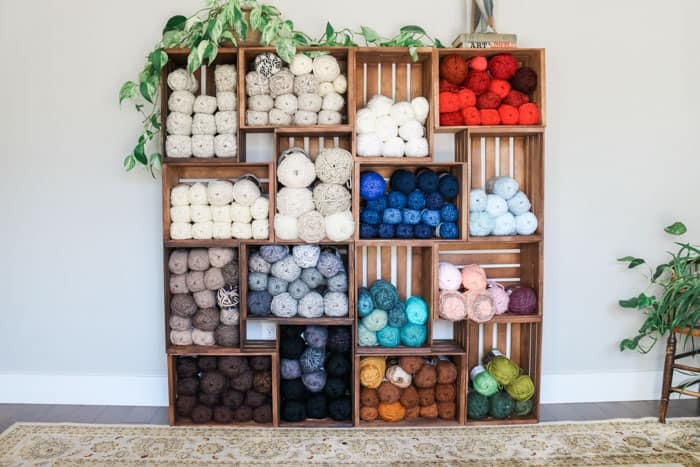 If you’re looking for a beautiful way to organize your stash, these DIY yarn storage shelves offer an easy, modern solution. The wooden crates make them perfectly customizable to fit your closet, craft room, or heck–your bedroom! Full step-by-step instructions and video tutorial below. This DIY yarn storage tutorial contains affiliate links at no extra cost to you. Thanks for supporting free crochet patterns on M&DC! I am not exaggerating when I say these DIY yarn storage shelves have changed my life. 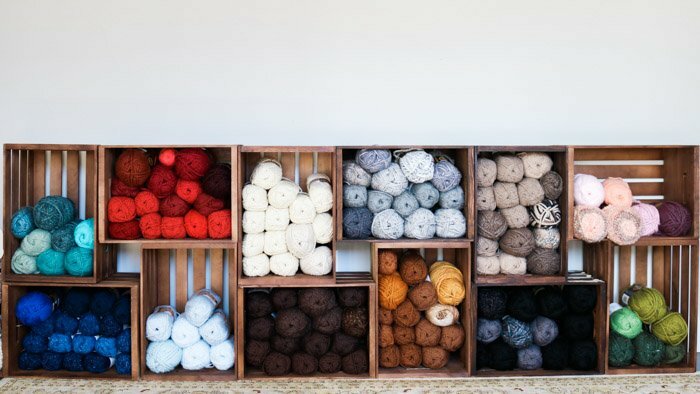 And while I’m usually in the business of sharing free crochet patterns with you, today I’m SO excited to share this tutorial with you because I think having some beautiful yarn storage might change your life too! Yarn, yarn and more yarn! ‘Tis the life of a crocheter or knitter, right? I’ve always thought I could never have too much yarn. That is, until about September of this year. 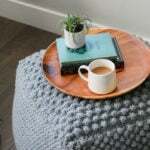 It wasn’t maybe that I had too much yarn, it was that I had too much yarn in all the wrong places–my craft room, the living room, the hallway, the windowsills. Seriously. It felt like an episode of “Hoarders,” but instead of collecting newspapers or stuffed animals, I needed my skein cocaine. 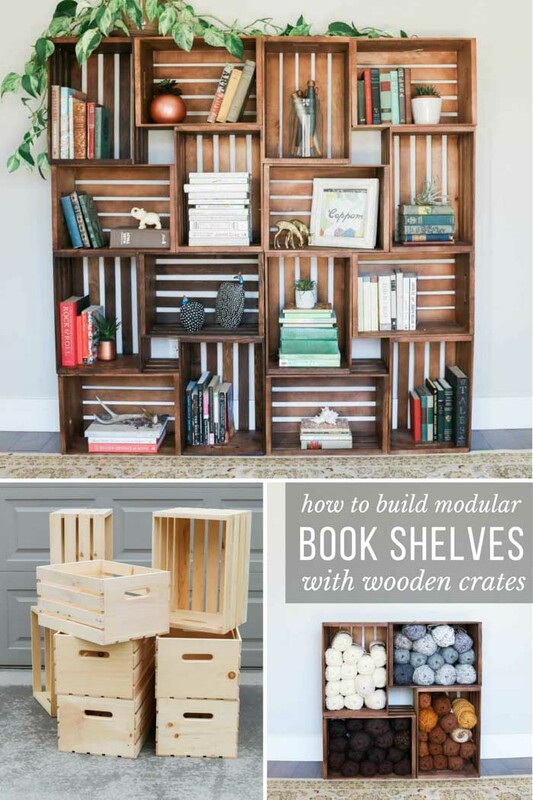 Everything changed when I came across some wooden crate book shelves one day on Pinterest. I knew immediately I could create my own version to solve every problem the other yarn storage systems didn’t. And man, have these shelves delivered! 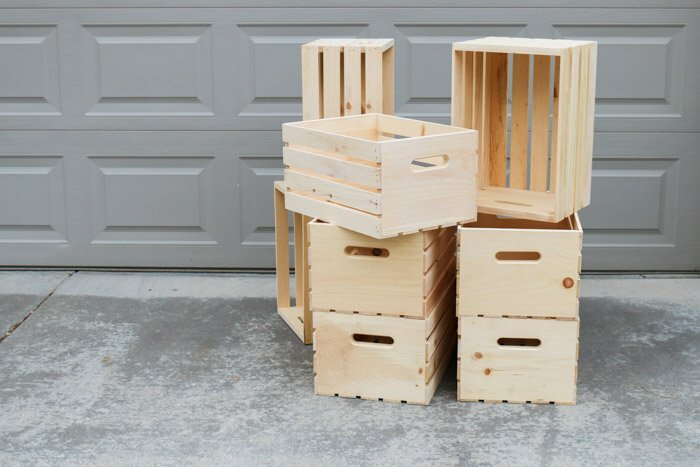 By using 4+ wooden crates that are available at Michael’s, Joann’s, Walmart or Amazon, you can build yourself a DIY yarn storage system in a weekend! Many of the supplies are optional depending on how elaborate you want to get. And then organizing each skein in their new home, let me tell you, it’s the most blissful, cathartic experience I’ve had in a long time! 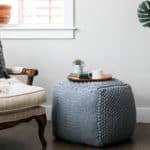 Check out the video tutorial below for a one minute overview of this DIY yarn storage project and then scroll down for the full step-by-step details. Pin this yarn organization idea for later here. 1. Sand each wooden crate using an electric sander (or by hand). This doesn’t have to be perfect, just enough so the wood won’t snag your yarn. 2. Stack wooden crates in the configuration you like. 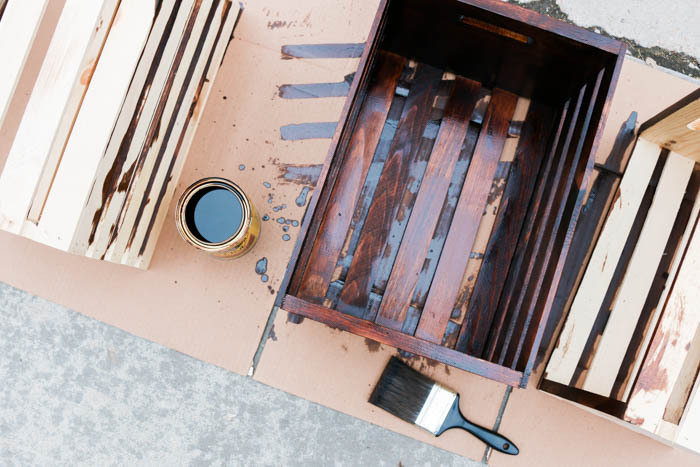 If leaving crates unstained, move on to Step 6. Otherwise, proceed with Step 3. 5. Set crates up again in desired configuration ideally in or near the space they’ll be used in. If using screws to secure, move on to Step 7. Otherwise, proceed with Step 6 to secure using zip ties. 6. 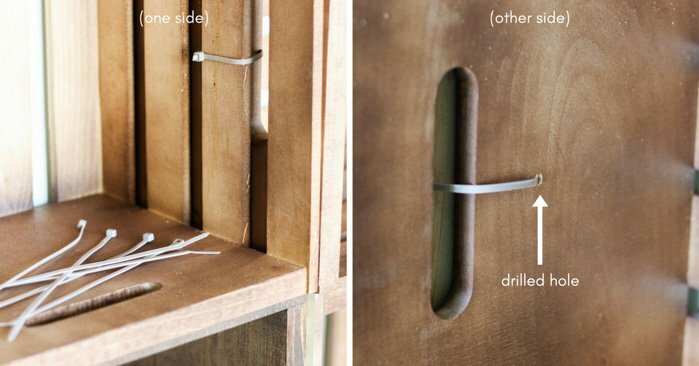 If using zip ties to secure crates, drill a hole in the crates near the handle in order to enable threading a zip tie through the hole and the handle as well as the wood slats of the crate it’s next to. 7. To use screws to hold shelves together, drill holes in the sides of the crates, always drilling first through the slat and then into the solid wood side it’s touching. (Doing it the opposite way, first through the solid wood side, then into the slat, runs the risk of breaking a slat.) 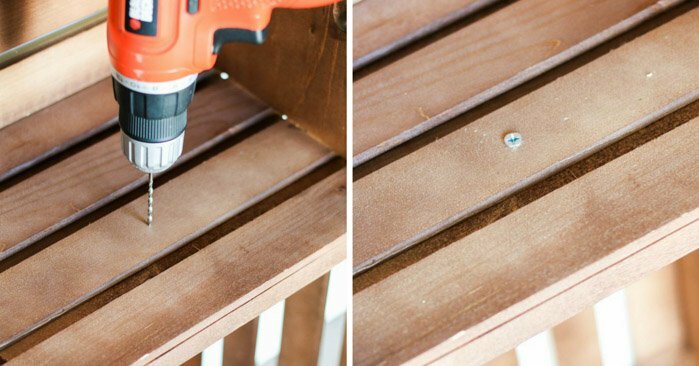 Drill a deep enough hole to accommodate the screw, but don’t drill all the way through the both wood pieces. 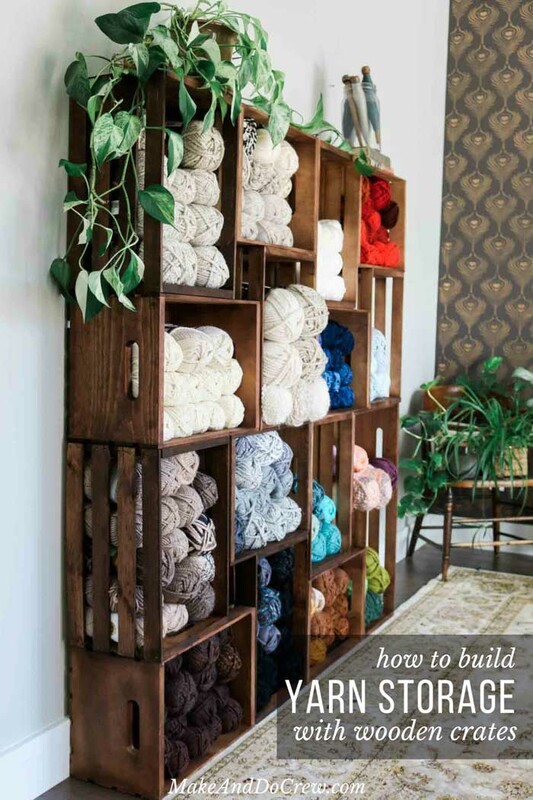 If you’re a renter or think you might want to move the shelves, you may choose to just secure four crates together at a time and stack them on top of each other to create yarn storage that is modular and easy to change the configuration of. 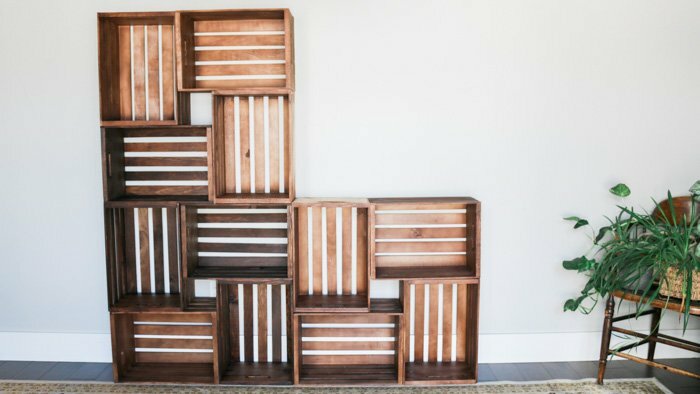 They’re actually quite stable without anything holding them together, but if you have any kids that will be going near the shelves, it’s a good idea to secure all the crates together and anchor the finished shelves to the wall. That’s it! I’m telling you, this is the DIY yarn storage solution you will be so happy to look at day in and day out. Then on days when you don’t get any stitches in, you can at least take solace in looking at your pretty yarn. 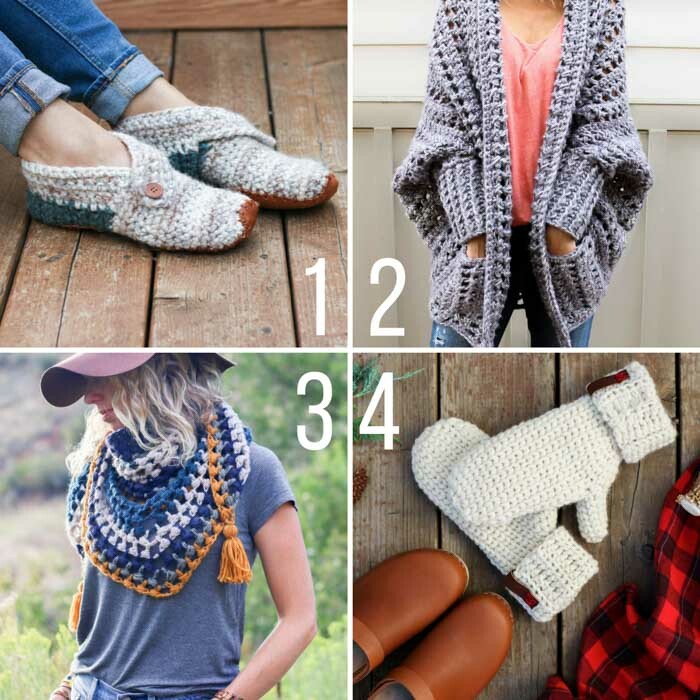 Speaking of which, I have a whole library of free crochet patterns to use your yarn on! 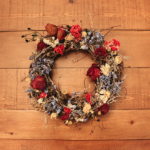 Below are a few of my most popular free patterns and you can always find all of them here. 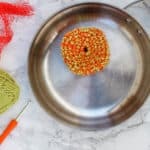 WANT MORE FREE CROCHET TUTORIALS? 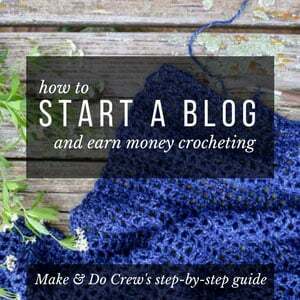 Join over 78,000 crew members who are learning from our weekly crochet tutorials and free patterns. I love it. It look great! Only draw back in my house would be the dust and the pets hair. Yarn would be ruined in no time!! Wow! thanks for the idea. I’ve been racking my brain trying to think of a way to store yarn. I’ve decided that crocheting isn’t my hobby, buying yarn is. Thanks again. Oh man, yes, I’m pretty good at that yarn buying hobby too, lol. I’ve searched for a long time for a storage solution and I’m so happy with this one. I hope you enjoy yours too! This is awesome! I will try these as a tv stand in my husbands office! Thanks for sharing idea! Love it….. This would make the perfect “entertainment center”. Don’t hide your yarn in baskets. These crate shelves for yarn are awesome!! I am going to make some. Thank you so much! Yay! I am truly loving mine. I hope you do too, Ellen!